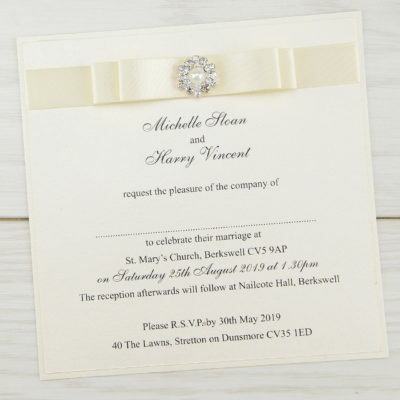 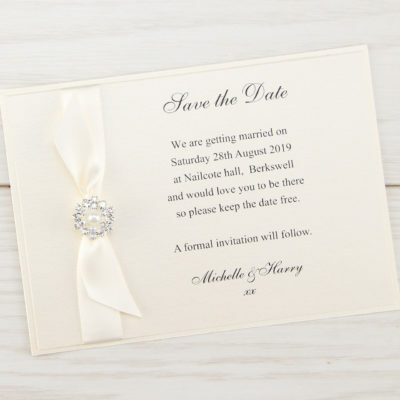 A beautiful vintage design, with classic satin ribbon and a stunning diamante. 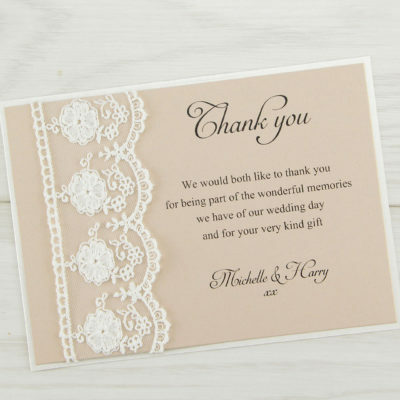 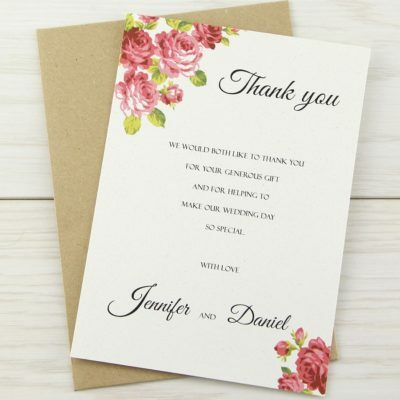 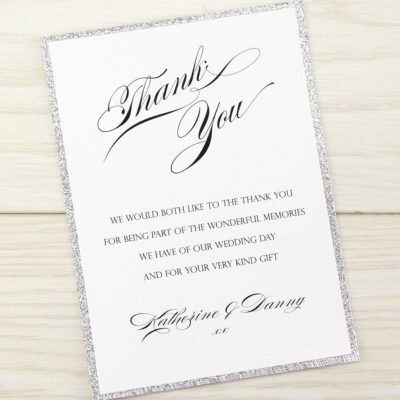 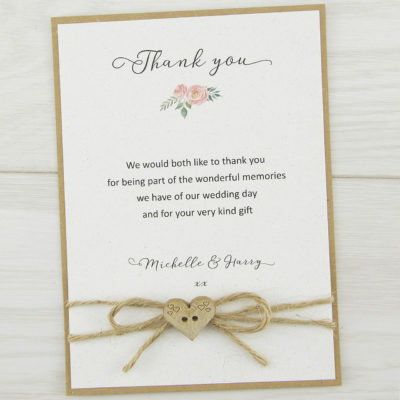 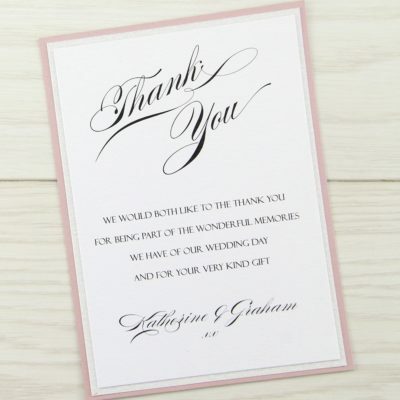 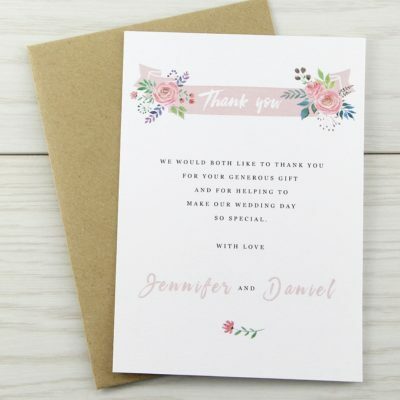 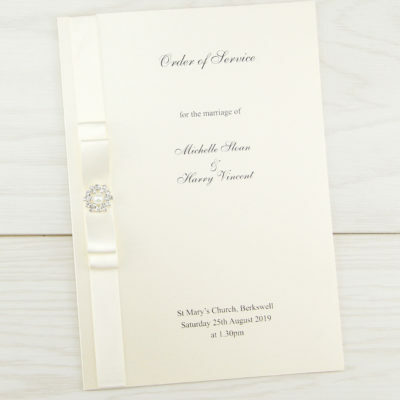 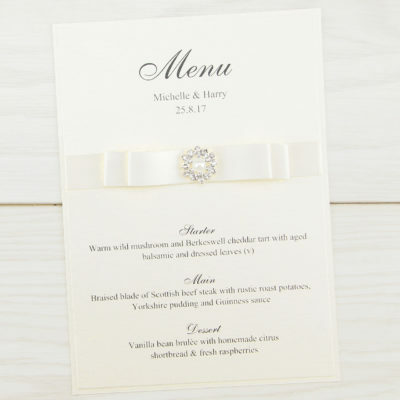 The insert is printed on pearlised cream, customise the base and ribbon to your theme. 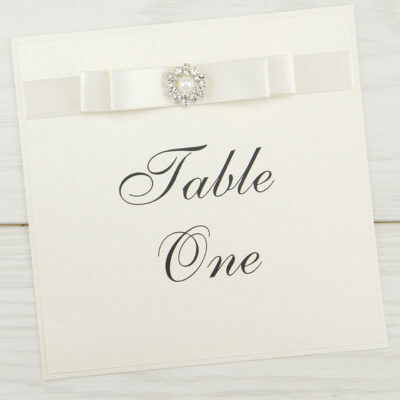 Base card, 15mm ribbon, embellishment, pearlised cream insert with personalised print, envelope.